Radon is an invisible, odorless gas that is formed through the decay of radium and is responsible for more public exposure to ionizing radiation than nuclear reactors. In areas where radon is prevalent, it poses a risk of death from lung cancer. According to the Environmental Protection Agency (EPA), 21,000 people die from radon-induced lung cancer each year, meaning radon is more hazardous to your health than secondary smoke. 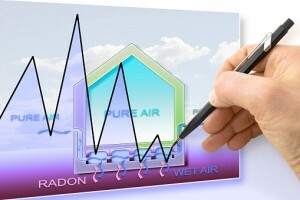 The EPA has long recommended that all homes be tested for radon regardless of area or risk level. Likewise, the Department of Housing and Urban Development (HUD)’s Office of Multifamily Housing issued a new policy in 2013 designed to reduce the number of radon-induced lung cancer deaths in the United States. It requires that all multi-family homes, as well as most FHA-insured construction, in medium- to high-risk areas be tested for radon and remediated as needed. The policy specifically states that a radon report is required for all mortgage insurance applications (barring an applicable exception), and must be included in the application, or early commencement requests, as applicable. The report is to be derived from testing performed under the direct supervision of a radon professional, in accordance with specific protocols. The report must include the results of any testing performed, the details of any recommended mitigation, and the timing of any such mitigation. The radon report must be signed and certified as to its compliance with the requirements of this section by the radon professional. The HUD policy requires that when required, radon mitigation must also be performed under the supervision of a certified or licensed radon professional in existing homes as well as in new construction in medium- to high-risk areas. The new HUD policy follows the EPA recommendation for radon mitigation in homes with radon concentrations at or above 4 picocuries per liter of air. Tenants, landlords, construction companies, and buyers of FHA-insured new construction should always obtain the services of an environmental contractor, such RDS Environmental. Our HUD-approved radon experts can perform radon testing and mitigation to ensure your environment is a healthy one. At RDS Environmental, radon testing and mitigation is our specialty, as we’ve been performing these services since the 1960s. We are a family owned and operated, Colorado-based company familiar with Colorado’s geology, giving us added expertise to ensure your safety. RDS can perform radon mitigation services and testing for HUD nationwide. Click here for more on the HUD policy on Radon Testing and Reporting. In January 2017, HUD released new standards for radon testing/mitigation for all new loan applications, as well as other transactional requests for existing Section 232 projects for residential care/assisted living facilities. Similar to the requirements for multi-family homes and most FHA-insured construction, these new Lean 232 requirements state that a radon report must be provided (barring a few exceptions) and that the report report must be signed and certified as to its compliance with the requirements by a radon professional certified with either the American Association of Radon Scientists and Technologists (AARST) or The National Radon Safety Board (NRSB). All radon testing and mitigation must be performed by an AARST or NRSB Radon Professional. If testing shows radon levels above the 4.0 picocuries per liter (4.0 pCi/L), then the applicant must either mitigate in 100% of ground level units/rooms or test 100% ground level units/rooms. RDS Environmental understands all of the intricacies of these new requirements. We want to ensure residential care/assisted living facilities are safe environments, following the new radon requirements for HUD Lean 232 Programs. Our HUD-approved radon experts can perform radon testing and mitigation for HUD nationwide. For more information, check our our blog on the new HUD Lean 232 requirements.